Still think fees may someday go away? Think again. The Dallas Morning News‘ Airline Biz blog reports US Airways’ recent profits are due entirely to its ancillary fees and charges. 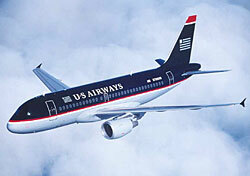 In fact, without fees, US Airways might be in the red right now. “Speaking at the Hudson Securities conference Wednesday,” the blog’s Terry Maxon reports, “US Airways president Scott Kirby noted that US Airways this year expects to bring in $500 million in ancillary fees: bag fees, change fees, etc. Lost in all the recent discussion about airline profits, which has focused mostly on rising demand and fares, is that fees continue to play a crucial role in airlines’ financial plans. Fees were introduced as a way of offsetting record high fuel prices, probably saved airlines from hitting bottom during the recession, and now are fueling a rapid return to healthy profits. Who knows what the industry would look like without them. Readers, are you still as annoyed by fees as you were when they hit the scene? Are you used to them now?